Bob Hwang, managing director of Hanwha Techwin Europe, has provided an indication as to what’s in the company’s 2019 product pipeline. Here, he explains how working ever more closely with distribution partners and leading system integrators, and valuing the feedback they provide in terms of changing market demands, has delivered huge dividends for Hanwha Techwin when it comes to devising a successful product strategy. We’ve enjoyed significant sales success over the past three years. There’s no doubt that this is largely due to our ability to truly understand how the market is evolving, which we have been able to do with the help of our field-based sales colleagues and our talented teams who have taken on board our customers’ feedback. In addition to introducing new cameras and recording devices, this has also driven us to work in partnership with third party technology providers to develop solutions which are relevant to today’s market and provide our distribution partners and system integrators alike with a competitive edge. During 2019, our customers can be assured that we will continue to be a market leader by taking advantage of emerging technologies which will enable them to achieve maximum value from their Wisenet video surveillance solutions. Hanwha Techwin will be formally launching new additions to its Wisenet range throughout 2019 and we’ve given a strong indication as to what’s in the product pipeline. With Artificial Intelligence (AI) and deep learning – which present exciting new opportunities for a wide range of sophisticated applications – now becoming more accessible to solution developers, we intend to introduce more solutions which support the latest AI technology. The Wisenet 5 chipset, which is at the heart of the Wisenet X Series of cameras, will be used in other camera lines. There are also plans to introduce an even more advanced Wisenet 7 chipset. There will be an updated version of the Wisenet WAVE Video Management Software (VMS) offering improved scaleability and interoperability for medium-sized installations, as well as a new version of Smart Security Manager which is designed for entry level, legacy and special projects. We shall continue to cooperate with third party VMS vendors for our high-end customers. A key attribute of the new products which will be introduced over the coming months is that they’ve all been designed to improve the installers’ experience and reduce operational costs for end users. We intend to sustain our efforts to seek out opportunities for introducing new and innovative solutions to complement existing Wisenet solutions developed jointly with our technology partners for strategic vertical sectors, such as retail and transportation. Our Korean heritage and core values of ‘Challenge’, ‘Loyalty’ and ‘Integrity’, which are at the heart of our ‘We Move With Trust’ central marketing theme, have equipped the business to stand out from the crowd. In order to have a brand name which is trusted, it’s not sufficient just to have products which are better than those of our competitors or for them to be more affordable. We also need to demonstrate a long-term commitment to provide customers with the highest levels of pre- and post-sales support. In this respect, our message encompasses respect for our distribution and solution partners, our passion for quality and service and an extended five-year warranty support which we offer to our STEP Partners as part of a package of benefits designed to reward their loyalty and give them a competitive edge. Determined not to be complacent, Hanwha Techwin has declared its intention to continually monitor and test cyber security risks using third party security agencies and a dedicated cyber security team. When necessary, we will release in quick time new firmware to counter the latest threats. This is an exciting time for our security business. The year has already begun well with the recent announcement that our new manufacturing facility in Vietnam is fully operational. This is just one of many reasons why I’m confident we will continue to succeed and be competitive in a market that continues to grow at pace. Mobile CCTV manufacturer Revader Security will be demonstrating its new and improved redeployable cameras and mobile surveillance tower at Security and Policing 2018, which takes place at the Farnborough International Exhibition and Conference Centre on 6-8 March. The company’s specialist security products are engineered to perform in harsh environments. They’re straightforward to install in virtually any location and can be rapidly repositioned to respond to changing security demands. Power options include mains, battery, Power over Ethernet (PoE), diesel and renewable sources. The company will be presenting two new products at the show – a new mobile CCTV tower and a compact redeployable CCTV solution. The Galaxy Mobile CCTV Tower is a complete outdoor surveillance solution on wheels which acts as an all-seeing ‘eye in the sky’. The product incorporates four high-end HD cameras set at 360° for 30-metre viewing, a single HD PTZ camera with 150-metre viewing, night vision capability, sensors, alarm inputs, audio, wireless/4G connectivity with dual SIM architecture, extensive local storage, remote monitoring/download and several power options ranging from battery through to diesel. The CCTV tower is primarily intended for overt deployment by law enforcement and security operators in remote or hazardous locations or at public events and demonstrations. It has also attracted interest for use as a cost-effective solution for construction site CCTV and security guarding replacement in high security areas. In parallel, Revader Security’s new compact redeployable CCTV solution, designated the Tuu, is constructed from high-grade aluminium or stainless steel and suitable for use in harsh IP67/IP68-rated environments. The Tuu network combines HD PTZ or 360° cameras with 5 TB on-board storage and PoE single cabling. The units are ideally suited for use by the police, the military and Government customers for evidential recording in custody suites, bio-hazard units and interview rooms and at operating bases. They’re also a cost-effective option for general purpose indoor and outdoor CCTV, offering end users the ability to rapidly reposition the cameras according to changing surveillance demands and operational requirements. In addition to investing in technicians based locally in countries across Europe, Hanwha Techwin Europe has also recruited a team of multilingual technicians and logistics experts who have been highly trained to provide advice on all products within the company’s wide range of video surveillance solutions. A facility in Holland, which provides a base for the Hanwha Techwin Europe multilingual team of technicians, also houses a repair centre which is enabling Hanwha Techwin Europe to consistently fulfil its commitment to a five-day turnaround on repairs if a fault develops. This is complemented by an Advanced Replacement service which is designed to provide installers with the assurance that they can repair a video surveillance system at the earliest possible opportunity. Hanwha Techwin’s video surveillance products have proven to be highly reliable which is why the company confidently offers a full three year warranty. Nevertheless, it’s appreciated that, when a problem occurs, it can be frustrating to have to wait until a faulty product has been assessed before a replacement is supplied. The Advance Replacement service means that, if a product develops a fault during the first year of its three-year warranty, a replacement will now be dispatched to a specified address within 48 hours of the request being received. Customers who are part of the Hanwha Techwin STEP Partnership Programme can take advantage of the Advance Replacement service for up to two years of a product’s three-year warranty. The facility in Holland is also the company’s main European warehouse. Staffed by logistics experts, it’s actively ensuring that the company can deliver all in-stock orders to anywhere in Europe within three days. Vista has announced the release of its new range of 3 Megapixel cameras which use Sony Starvis technology, in turn bringing to the fore increased image quality and a “careful balance” between price and performance for security managers. These new cameras also take advantage of Sony’s Starvis back-illuminated pixel technology to produce highly detailed images in low light situations. The sensitivity performance has been extended from the visible light range to include near infrared range to support images at night, which is often essential for surveillance camera use. Xeno has announced that it can now offer customers full HD resolution over standard RG59 coax at ranges of 300 metres thanks to the company’s new Nitro range of cameras and DVRs. The range brings “superb” 1080P image quality to the end user at an “extremely cost-effective” price point. 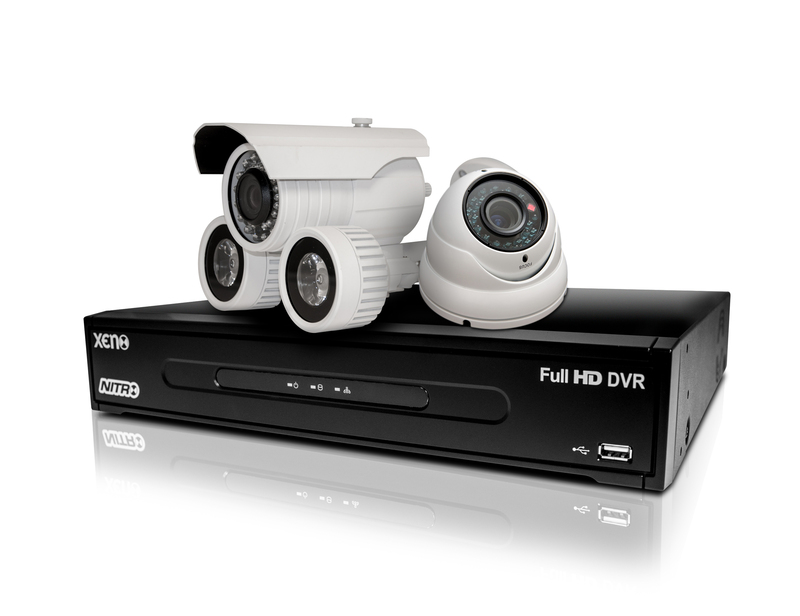 Available options include eyeball, bullet and vandal-resistant dome cameras, as well as 4, 8 and 16-channel DVRs. In order to allow integrators a seamless transition to the Nitro range, the DVRs operate in exactly the same way as the XDR960 range with no additional training required. The same Central Management Software can be used to connect to these and also the range of Xeno IP NVRS. The Nitro range affords integrators “the perfect opportunity” to upgrade their existing analogue customers to Full HD resolution. ONVIF, the global standardisation initiative for IP-based physical security products, will be an exhibitor at IFSEC International 2015 in London, which runs from 16-18 June at ExCeL. On stand D530, ONVIF will host a Quick Install Challenge for its newest profile, Profile Q, and will also provide an interoperability demonstration on Profile S to highlight the functionality of its interoperability specifications for the physical security industry. The Quick Install Challenge for Profile Q showcases the easy set-up of the new profile. 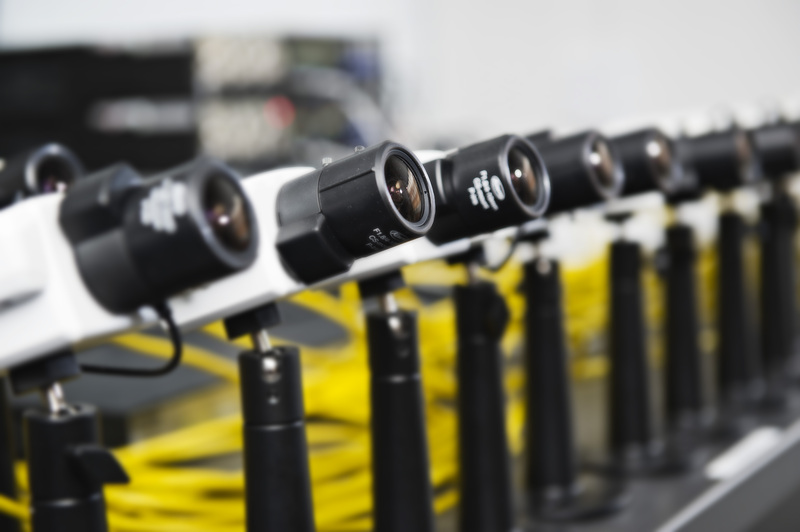 Attendees will be tasked with setting up and connecting a Profile Q conformant camera and a Profile Q conformant video management system. A prize will be awarded to the participant with the fastest time. ONVIF member companies are sponsoring ONVIF’s exhibitor’s booth at IFSEC International, as well as the interoperability demonstrations. The 2015 IFSEC International ONVIF sponsors are: Axis Communications, Bosch Security Systems, Synetics, Oncam, Meyertech, Hikvision and Panasonic. Founded in 2008, ONVIF now consists of more than 500 member companies in six continents and more than 4,000 Profile conformant products. With Profile S for streaming video, Profile G for recording and storage, Profile C for physical access control and Profile Q for easy installation and advanced security features, ONVIF continues to work with its members to expand the number of IP video integration solutions ONVIF conformant products can provide. Further information about ONVIF’s conformant products, including vendors and the conformant models, is available on ONVIF’s website at: www.onvif.org. ONVIF was established to develop a global open standard for IP-based physical security products. Membership is open to manufacturers, software developers, consultants, system integrators, end users and other interest groups that wish to participate in the activities of ONVIF. Milestone Systems – the open platform company specialising in IP video management software (VMS) – has released Device Pack 7.9 for partners and customers using Milestone XProtect security solutions. Device Pack 7.9 has support for 1,012 tested ONVIF devices, all using the same optimised driver. The XProtect Device Packs include tested and certified drivers optimised to enable the relevant capabilities of a camera or other hardware device to be managed by the XProtect software. Testing the drivers ensures the highest quality for a video surveillance solution, which is obviously important for total system operability, efficiency and stability. Milestone works closely with the device manufacturers in the Camera Partner Program (CaPP) to achieve the optimal interaction between their devices and the XProtect VMS. The company has always promoted driver standards like ONVIF and remains dedicated to supporting the broadest range of cameras and devices on the market. In the case of ONVIF-supported devices, it’s often assumed that a device which has passed the ONVIF test tool will just work in a given infrastructure. This isn’t always the case as there are marked idiosyncrasies that need to be taken into account to insure proper interoperability and leverage the full feature use of a device with a VMS. 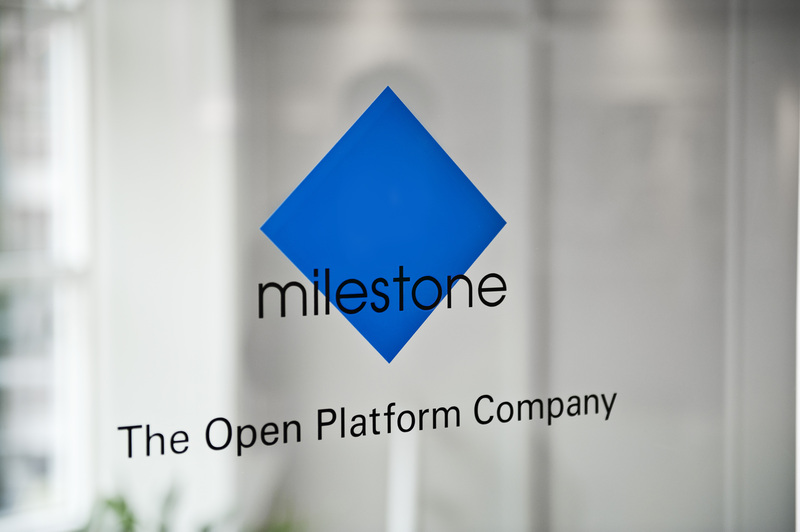 Before ONVIF supported devices are listed on the supported hardware list on milestonesys.com, they’ve been tested to ensure 100% functionality with the XProtect open platform technology. In the Milestone CaPP, this ONVIF functionality test can be done by Milestone or vendors can conduct the testing procedures in their own facility after they’ve completed a four-day Milestone training course. The ability to do the complete Milestone certification test can save time and costs for camera manufacturers in their go-to-market strategy. Device Pack 7.9 also includes support for the Axis Zipstream technology, an advanced mode enabling variable compression as well as variable bit rate. According to Axis Communications, this can reduce the bandwidth requirement by up to 50% without major loss in picture quality. This technology increases compression when less movement is detected in the video. Beyond reducing the bandwidth, the use of advanced compression technologies like Zipstream can also save disk space on the recording servers in a system. The Milestone VMS has been supporting advanced compression technologies since 2012. Extended support for Vivotek cameras has been added, so too 64 new devices from Dahua all based on ONVIF where the compliance test was conducted by Dahua. Other vendors with new device support in this release include Pelco by Schneider, Vicon’s IQEye and Canon.